Piston bi replacement segment for kit 70cc Top Performances and DR Racing on motor scooter MINARELLI YAMAHA & Vertical, Horizontal. 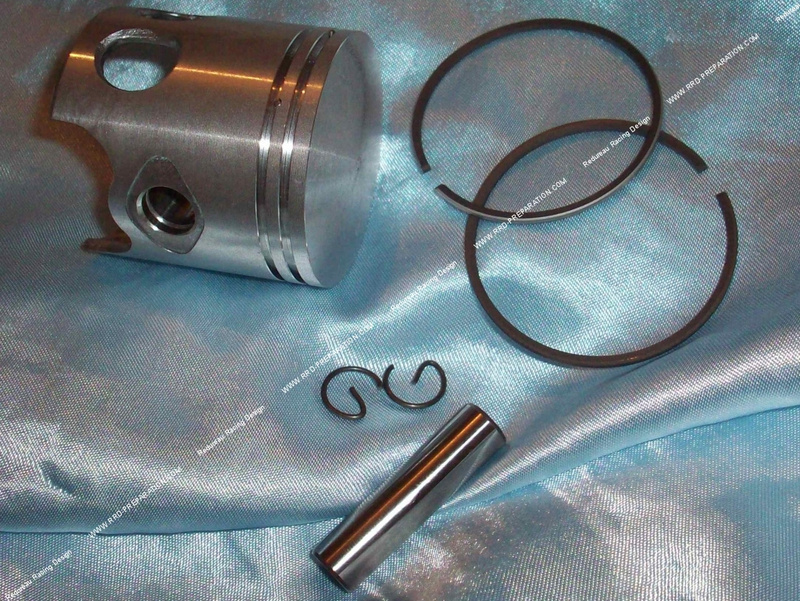 Piston kit TOP PERFORMANCES and DR racing for minarelli scooter diameter 47mm or 47,4mm choice for reaming. Piston pin 10mm, delivered with clips, 1 regular segment d.47 X 1.5mm and 1.5mm chrome segments hard X d.47mm. Top performance for the kits 70cc minarelli vertical, horizontal liquid black top, top performances cast iron 70cc minarelli horizontal liquid, Dr .... It fits even on the pink top performance with or without bi-part breech. Choose d.47mm for kits and non rebore d.47,4mm for rebored kits due to tightening or power preparation.